Rav Schwadron explains the concept of this verse with the following illustration. A father wants to present his son with a special gift, but the son runs away. Disappointed, the father tosses the gift after him. Like a wayward child who does not appreciate the kindness his father is offering him, says Rav Schwadron, we all -- at one time or another -- turn away from our Father in Heaven and do not welcome Hashem’s intention to purify us. What does Hashem do? He showers us with the purifying water. 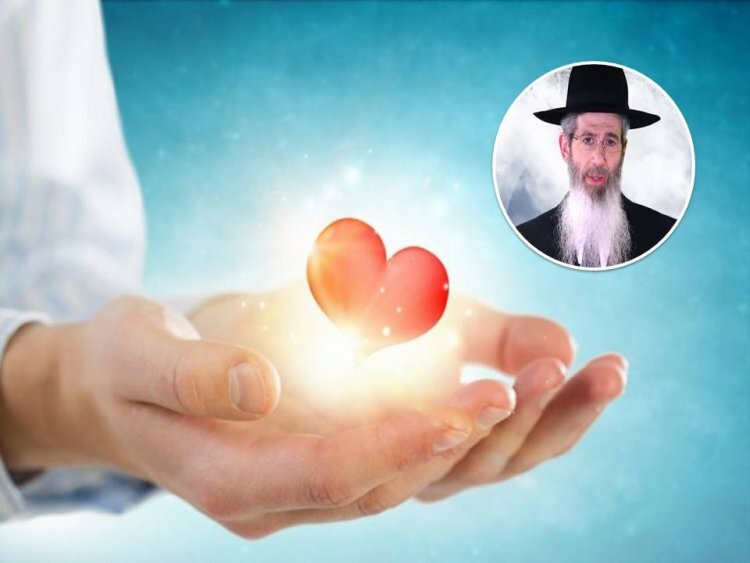 The establishment of that connection with Hashem results in וטהרתם – we ourselves set in motion the purification process and seek to return to Hashem. A fellow Jew once called me to consult on a pressing parenting issue. The man begged me to make time for him at my earliest opportunity, because the matter was very urgent and needed immediate attention. I agreed to meet with him first thing in the morning. The man who came into my office the next morning was deeply crushed and heartbroken. He sighed and tearfully began to tell his story. “I was always very dedicated to my children’s upbringing,” he said. “I learned with them, paid for the best tutors, did everything possible to ensure that they would grow up to be G-d Fearing Jews. But my 17 year old son … ” he groaned, and put his face into his hands. Tears streaming down his face, the man told me that his Rabbi had advised him to speak to me. I spent a long time with him, offering encouragement and guidance, and mapping out a plan he could follow. I suggested positive steps he could take, things he could say, things he could do. I also told him what not to say and do. He asked me halachic questions, and listened carefully to everything I said. Finally, the man arose, thanked me, and turned to go. He was at the door when he turned back. “Can I ask the Rav one more question?” he asked. I could see that my answer surprised him. He seemed taken aback as he had not expected that answer. Three weeks later, the man called to let me know what was going on. Things were pretty much the same, he said, and he was getting discouraged. I gave him encouragement, and some new suggestions. Just before he hung up, he asked, “About the negel vasser -- do you think that I still need to bring it to his bed? I feel like such a fool every day.” Again, I urged him to continue. Three weeks later, he called me again. This time, he could barely speak. He seemed to be crying; he was literally choking over his words. “I listened to you, Rav Goldwasser,” he said. “I listened to you! I filled my son’s negel vasser every day, and emptied it, even though he wasn’t using it.” The man paused. During these holy days of the year, Hashem showers each and every one of us with purifying waters, even those who have become alienated or estranged. It is up to us to take advantage of this exceptional kindness during these auspicious days and to come forward to purify ourselves. V’tihartem!